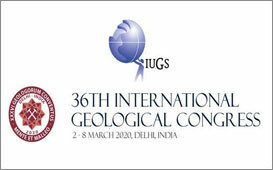 Citizens of the world come together to celebrate Kumbh - India's intangible heritage! The world in one frame as Prime Minister Narendra Modi and EAM Sushma Swaraj join citizens from 182 countries who had come to participate in the largest gathering of humanity on earth.Prof. Joefe Santarita, Dean of the Asian Center-University of the Philippines, Diliman and Ms. Diljune Etpison Ngiraswei of Palau participated in the event. H.E Ambassador Jaideep Mazumdar with Philippine Coastguard Commandant ADM Elson E. Hermogino on the occasion of Indian Coast Guard day. The 5th India Business Forum (IBF) meeting was held on 25 Oct 2018 under the Presidency of new President Mr. Pushkar Mishra. Ambassador Jaideep Mazumdar attended the event and is seen in the photo with Department of Finance Undersecretary Karl Kendrich Chua and members of Indian Business community in the Philippines . 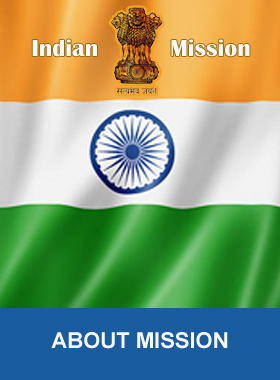 The Embassy of India celebrated the 70th Republic Day of India in Manila. The reception was attended by Assistant Secretary Meynardo Montealegre of the Department of Foreign Affairs, Dean of Diplomatic Corps H.E Most. Rev. Gabriele Giordano Caccia, many high level dignitaries of the Philippine Government, Ambassadors and officials of various Embassies in the Philippines. 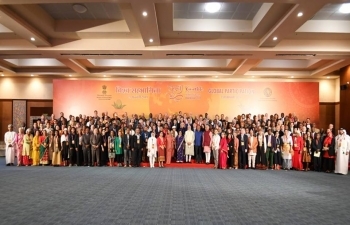 High level representatives of the business world and distinguished members of the Indian community were also present. 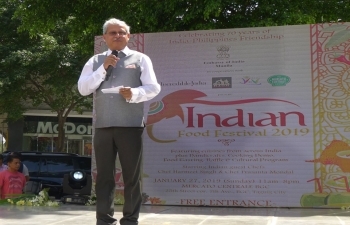 As a part of the 70th Republic Day and 70 years of India-Philippines Friendship,the Embassy in collaboration with Ministry of Tourism of India organised an Indian Food Festival 2019 presenting cuisines from various parts of India, including Punjab, Rajasthan, Awadh and South India, besides Indian chat and desserts.Chef Harmeet Singh and Chef Prasanta Mondal from India prepared the cuisines at the Food Festival. A very renowned Indian Classical Dancer Ms. Amrita Lahiri, empanelled with the Indian Council for Cultural Relations, performed Kuchipudi dance( one of the 8 major Indian classical dance forms from the state of Andhra Pradesh) on the occasion of 70th Republic Day Reception in Manila. 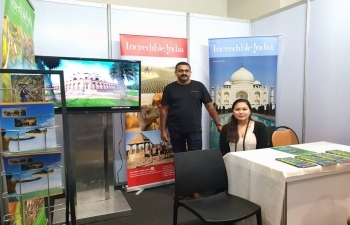 The Indian Food Festival 2019 was organized by the Embassy of India and the Ministry of Tourism of India as part of the celebrations of the 70 years of India-Philippines friendship. 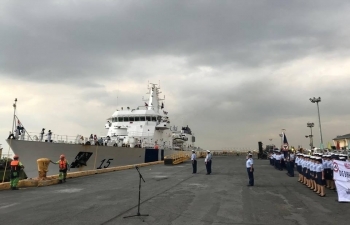 DILG Undersecretary Martin Diño along with various dignitaries from the Philippine government, Ambassadors and members of the diplomatic and business community, media and distinguished members of the Indian community graced the event. There was also a live demonstration by Indian Chefs and a cultural programme with Indian dances like Bhangra and Bollywood during the event. 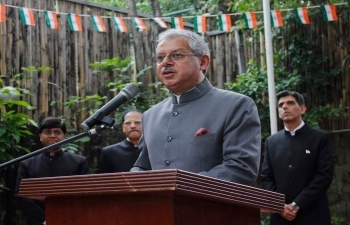 Embassy of India in Manila organized a Flag hoisting ceremony at India House on the occasion of 70th Republic Day of India.The programme began with H.E Ambassador Jaideep Mazumdar hoisting the National Flag, followed by the National Anthem.Amb. 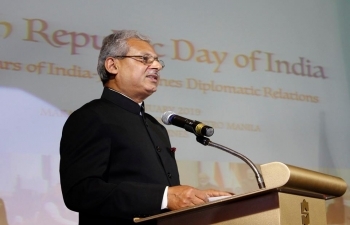 Mazumdar also read out the President of India's message to the nation on the occasion.The event was attended by a large gathering including members of Indian community , representatives from diplomatic community and Friends of India. H.E Ambassador Jaideep Mazumdar and Mrs. Parvati C. Mazumdar with the Embassy officers/staff and their families during the flag hoisting ceremony at India House on 26 January 2019. To kick off the celebrations of the 70th anniversary of the establishment of diplomatic relations between India and the Philippines, the Embassy of India in Manila organized a concert of Indian Dance which featured Ms. Amrita Lahiri, a young and highly renowned Indian Classical Dance exponent at the BGC Arts Center on January 20, 2019.H.E Ambassador Jaideep Mazumdar and Mrs. Parvati C. Mazumdar felicitate the artist. 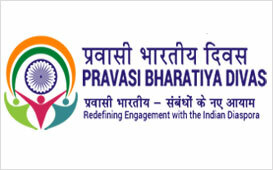 A 23 member strong delegation from Pharmaceuticals Export Promotion Council of India (PHARMEXCIL) visited the Philippines from 16-18 January, 2019, as part of their three nation tour; the other two countries being Vietnam and Indonesia. 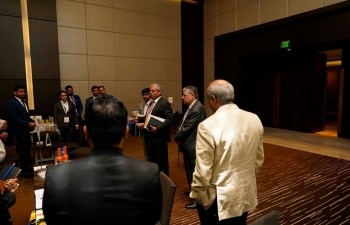 The main highlight of the visit was the “India Biz Connect: Pharma Edition” held at Hotel New World, Manila on 18 January 2019, which was organised in association with Philippine-India Business Council (PIBC) and the Embassy. The 6th India Business Forum (IBF) meeting was held on 08 Jan 2019 at Annapoorna Restaurant.H.E Ambassador Jaideep Mazumdar updated the members of the latest developments in India-Philippines bilateral relations. To kick off the celebrations of the 70th anniversary of the establishment of diplomatic relations between India and the Philippines, the Embassy of India in Manila organized a concert of Indian Classical Dance which featured Ms. Amrita Lahiri, a young and highly renowned Indian Classical Dance exponent at the BGC Arts Center on 20 January 2019. Ambassador Jaideep Mazumdar with Department of Foreign Affairs Secretary Teodoro L. Locsin Jr. during the International Bazaar 2018. 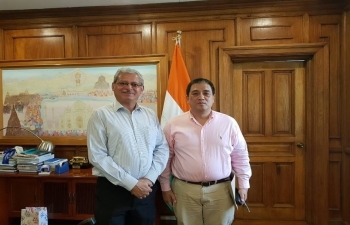 Ambassador Jaideep Mazumdar paid a courtesy call on the Hon. Gloria Macapagal-Arroyo, Speaker of the House of Representatives, Republic of the Philippines. 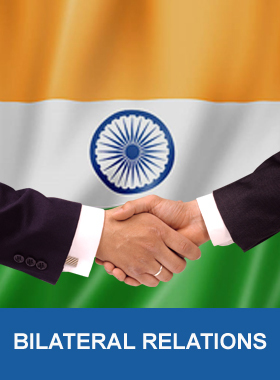 The Embassy of India does not normally accept visa applications at its premises except from Diplomatic/Official passport holders. 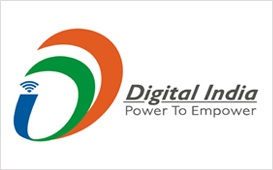 Visa applicants, except Diplomatic/Official passport holders, have to apply at Outsourcing Indian Visa Centre, M/s BLS International Services Ltd. www.blsindiavisa-ph.com . 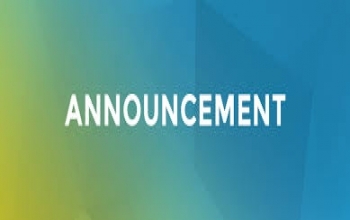 However, in exceptional and urgent cases, applicants may submit hard copies at the Embassy on working days between 0930 hrs and 1130 hrs. 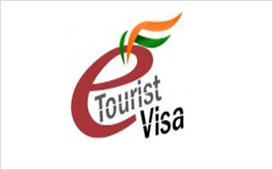 Applicants are advised not to finalise travel arrangements to India before obtaining an appropriate visa for India. 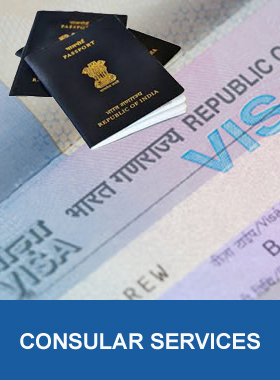 All original documents have to be shown at the visa counters for verification of the photocopies attached with the visa applications.